Do you always feel unsafe? Are you tired of the fact that theft is there to stay unless you do something? If you are one of the Housing and development Boards apartment’s tenants in Singapore, then the high definition, HD camera should at the top of your budget list when it comes to security. We can agree that theft and crime in Singapore have increased in the previous years. As a result forced both owners and renters of Singapore's Housing and development Board apartments to install CCTV cameras, to reduce this treacherous plague eating Singapore’s security away. The question is, should you just go for any, camera? My answer would be NO, why? Because with a low-quality camera, you are safe to a certain percentage. It would be wiser to go for high definition, Cameras and below are the reasons why. WHY CHOOSE HIGH DEFINITION, CAMERAS? High definition, Cameras proves quite efficient when it comes to crime management, ensuring safer working environments, a source of evidence and last but not least your unpaid guard at all times. The main reasons high definition, Cameras are considered to be the best is that they capture clear images and videos. They work best despite the change in light intensity, and you can access them from anywhere and lastly they prove to be quite efficient when it comes to time and speed. To be able to appreciate the purpose of high definition, Cameras, let us take a look at some of its salient features that makes it stand out. Your security camera might be worthless if the resolution is low. Reason being is that it will capture unclear images especially when the target was rushing. As a result, you won't be able to define the real face of the person in the picture captured. Why is this a concern? The main purpose of a surveillance camera is to capture precisely the face of a criminal. Most of the time, criminals come in the building with masks. Sometimes they wear headgears that make it hard to identify their faces. With high definition, HD camera, chances of capturing most of the features that defines their real faces are great. Higher resolution makes it easier to capture a criminal's face. In summary, high definition is more accurate compared to some surveillance cameras with low resolution in the market. There are some cases where the criminal’s entering a building are distanced from the camera. As a result, it is hard to identify features that define their faces due camera's limited area coverage, an element that defines most standard camera's lenses. High definition. Cameras offers a wider area coverage meaning that it can capture all the face features clearly despite the distance from the camera. Wide area coverage is also necessary in cases where we encounter criminals who are concerned with the camera in the building. Since the camera is efficient despite the distance, chances that, criminals will see it and destroy it is limited. It is also important to monitoring workers working in a big hall since it will capture all the details required. Most of the time you won't be at work. You will need to travel, go for lunch or spend most of the time away from your business. You will leave your house when going to work. With high definition, HD camera, you can be able to access the activities in your home while you are away. You can synchronize your PC, tablet or phone with your high definition, HD camera making it easier for you to have access to your premises when are far away. You don't need to sit down or hire someone to monitor your camera. You can do it anywhere. In your car or a hotel. 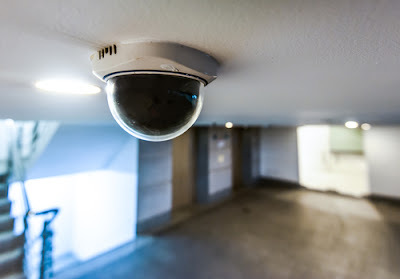 Most standard cameras don't have this feature making the high definition, HD camera a number one choice when it comes to securing your premises. In capturing crimes and providing enough evidence required in courts on theft, time is vital. Reason being is that a criminal may win the case especially when the time recorded by your camera differs with the time the crime happen. Unlike most standard cameras, high definition cameras precisely match the time with the captured video. Time recording puts the criminal in a position that he/she cannot lie for example by saying he/she was in the cinemas when the crime was happening. Sometimes, if you are looking for detailed pictures, videos might not be as efficient as snapshots. High definition, Cameras takes pictures when the camera detects unusual movements common with criminals. Automatic snapshots make it quite valuable especially in calculated crimes and where the criminal doesn't want to be captured by a surveillance camera. The snapshots are quick and hard to detect. It might be set in a batch mode so as to obtain enough pictures, especially when in need of sufficient evidence. In summary, high definition, Cameras are efficient when it comes to dealing with crimes. There are some cases where lights may go off in a building and also maybe too bright. Sometimes the low light or high light intensity can be as a result of noon hours or evening hours. High definition, Cameras adjusts with the change in light intensity ensuring that clear and detailed images are captured as a remedy for crime. These images are very clear and sometimes it is hard to tell the exact time the crime happened. Clarity despite, light intensity makes the high definition, Cameras stand out compared to standard cameras. High definition, Cameras are also known to capture very clear videos or pictures in total darkness, especially at night. Since most of the crimes work best at night due to low light, high definition, Cameras proves quite useful than standard cameras. This is as a result of having IR cameras with IR led at the outer edges of the lens. Clarity in the dark quite efficient and quite useful since criminals might not be able to see the cameras at night and hence proceed with the crime as the camera captures their activity precisely. High definition cameras are the best since light doesn't make part of its drawbacks. It captures clear videos and pictures at any time. 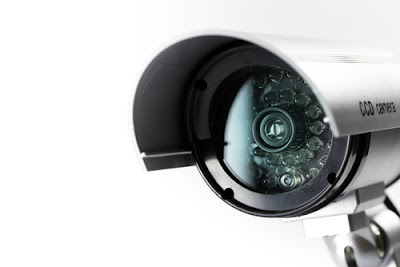 In summary, high definition, Cameras should be your number one choice when it comes to securing your home or premises compared to standard cameras. You can be your own invincible security guard, your own spy while you are away on a vacation or at work. If you are living in Singapore either in Housing and development Board apartments or outside you don't have a choice but to get yourself one. They are easy to install, most of them are durable and go for affordable prices. It is better to invest in something that will keep watch of your premises 24/7 than not spend on it and lose much more than its price. High definition, HD camera ensures you, your family, home, and premises is safe despite your location.